Cloudbabies is a charming pre-school series about four, childlike characters, Baba Pink, Baba Blue, Baba Yellow and Baba Green whose job is to look after the sky and their Sky Friends, Sun, Moon, Rainbow, Fuffa Cloud and Little Star. They live together with Bobo White, a mischievous little Sky Imp, in a house on a big fluffy cloud. Every morning, they jump on their Skyhorsies and begin their day’s work of looking after the sky. 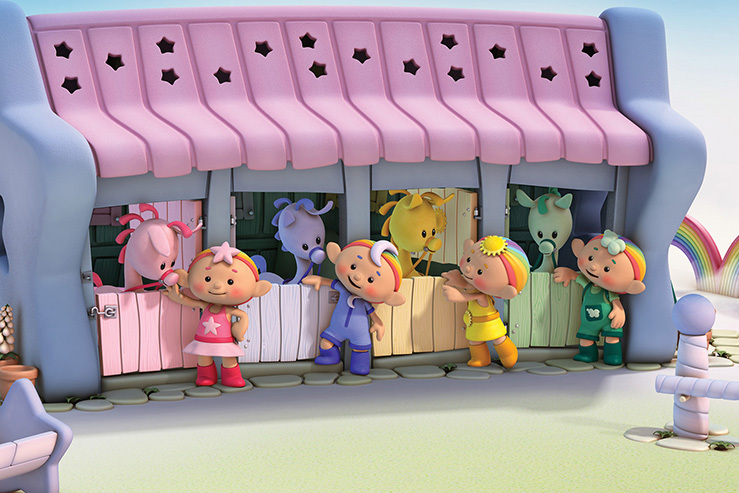 The series promotes caring for others and the world around us and also introduces children to notions such as day and night, sun and moon, rainbow and the stars. Cloudbabies ® © 2012 Hoho Entertainment Ltd/Bridget Appleby. All rights reserved.